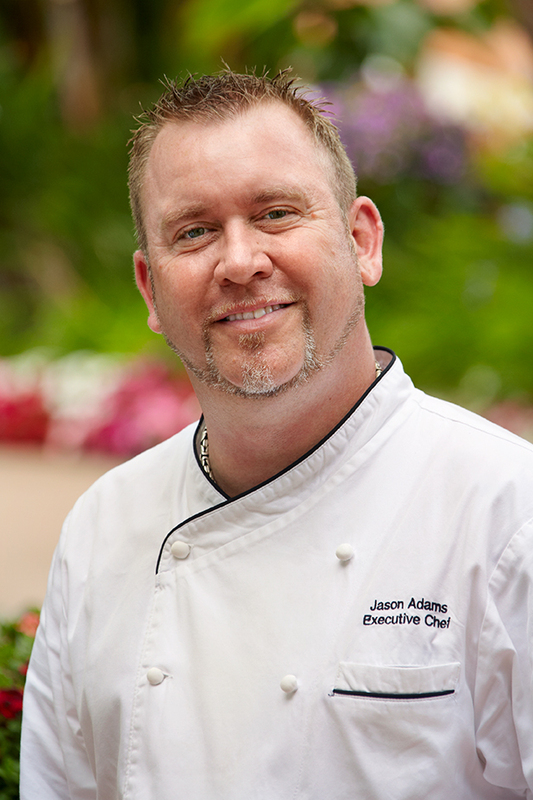 Carlsbad's Omni La Costa Resort & Spa has appointed Jason Adams as the new executive chef, where he will oversee resort-wide culinary operations and programming. Adams has more than 20 years of culinary experience at top five-star luxury hotels and resorts across the United States and Caribbean, and is now bringing his expertise to the coastal foothills of Northern San Diego County. "Chef Adams has worked with prestigious properties around the world, and brings a wealth of experience from different cultures and types of cuisine to the tables of our guests," said Gary Sims, managing director of Omni La Costa Resort & Spa. "We welcome the fresh perspective his diverse background provides, and are excited to welcome him to the La Costa team. With Adams on board, we will be expanding and enhancing Omni La Costa’s culinary offerings, while staying true to the resort’s regional, coastal cuisine." In his new position, Adams is spearheading the revival of Omni La Costa’s on-site beehives, which are an important resource for the Southern California resort. In support of the resort’s sustainability efforts, the beehives were originally cultivated to produce honey to be incorporated in everyday ingredients for guests including cocktails, condiments, appetizers and spa treatments. Adams is reinvigorating the beehives by cross-pollenating them with lavender, peppercorn and fennel, to infuse unique flavors into each strain. Adams is also working on a refresh of the banquet catering, creating completely new menus for the resort’s numerous indoor and outdoor events. Prior to joining Omni La Costa, Adams served as executive chef at Four Seasons Resort Nevis, West Indies, where he was named “Caribbean Hotel Chef of the Year 2015” by The Caribbean Journal and cultivated relationships with local purveyors and fisherman for executing sustainable farm-and-sea-to-table culinary operations, including a Dive & Dine program for guests. Adams also served as executive chef at The Ritz-Carlton Palm Beach, FL, The St. Regis Aspen Resort, Aspen, CO and The Ritz-Carlton San Juan, Puerto Rico. Originally from England, Adams began his career in London at five-star hotels Hyatt Carlton Tower and Churchill Intercontinental. In addition to Ritz-Carlton hotels in Palm Beach, Fla., and San Juan, Puerto Rico, he has worked at Ritz-Carlton properties around the world including Grand Cayman, British West Indies; Boston, Mass. ; Atlanta, Ga. and St. Thomas, U.S. Virgin Islands. Adams now resides in Southern California with his wife and two sons. Omni La Costa Resort & Spa boasts more than 600 guestrooms, suites and villas, an adults-only pool and cocktail venue, 110,000 square feet of meeting and event space, an Athletic Club, exhilarating waterslides and 36-holes of golf on two distinctive courses. Honored as the #1 Wellness Spa by Spa magazine, the 43,000-square-foot Spa at La Costa includes a private pool, waterfall showers, café and therapeutic reflexology path. Acclaimed restaurants Bob’s Steak & Chop House and Bistro 65 present coastal California cuisine with a focus on sustainability and seasonality in partnership with local farms. Also home to Premier Fitness Camp and the worldwide headquarters of The Chopra Center, Omni La Costa Resort & Spa offers continually evolving health and wellness programming. For more information, call 800.854.5000 or visit lacosta.com.